Kritters Ramblings: December - a very merry month! 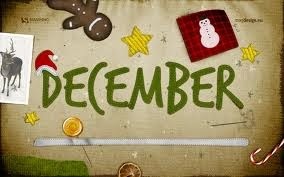 December - a very merry month! Thank goodness for a month where I had a few days after the rush of the holidays to just sit and read some good books! I was able to surpass my yearly goal only due to this month! Between the house shopping, moving and big home improvement projects, I was not on target to meet the goal.